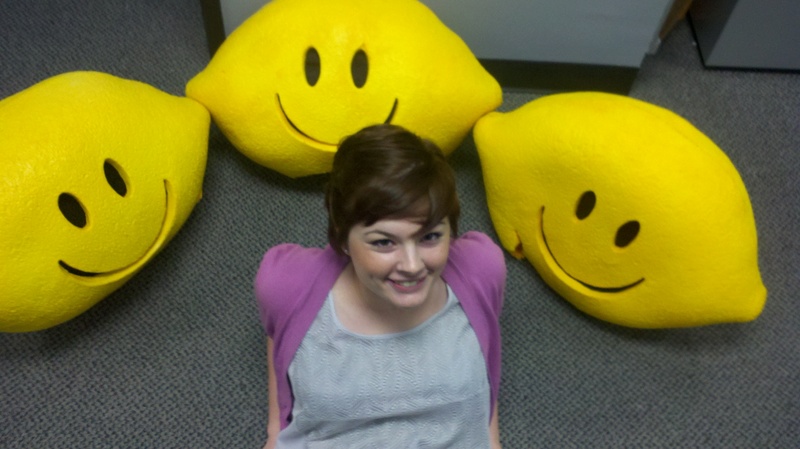 Today is a sad day at Lemonade Day as we mourn the death of one of our greatest influences and most ardent supporters. Dr. Peter Benson, passed away on Sunday October 2, 2011. Dr. Benson was a tremendous inspiration to Lemonade Day. Years ago when planning Prepared 4 Life, SEARCH Institute was instrumental in forming the mission and vision for the organization. The 40 Developmental Assets serve as touchstones for our work every day. “Peter Benson was an extraordinary human being who was committed to growing great kids. 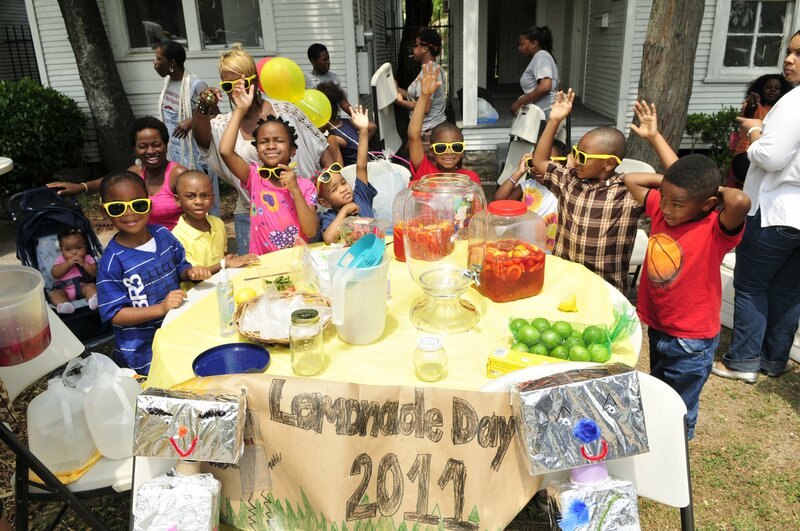 The world is a less bright place today,” said Lemonade Day co-founder Michael Holthouse. Dr. Benson’s legacy will live on the millions of lives his work has enriched. Our thoughts are with his family, friends and colleagues during this time of sadness. Yesterday a coworker turned and asked me, “Where were you on 9/11?” While every year I take time to reflect on that day, with the 10 year anniversary of 9/11 on Sunday, it is even more on my mind. There is so much chaos today – wild fires ravaging my state of Texas, devastating floods effecting so many of our Lemonade Day family, wars being fought around the world … but 10 years ago, there was a moment where it seemed the entire Earth stopped turning. As I went back to that day in my head – I was in college, living with 2 other girls in a house in Norman, OK. I turned on the TV as per my normal morning routine -and the 2nd plane flew into the tower. I just stared in disbelief at the TV very confused. I spent the remainder of the day in the School of Theater conference room preparing a mailing glued to the TV with fellow classmates and professors. – and I started to cry as I relayed that memory to my coworker. “I remember this day as if it was yesterday! At the time I was the Texas Regional General Manager for Radio Unica Radio Inc and I was driving into the my office at the Arena Towers. I was listening to my morning news team do their normal morning newscast and they interrupted regular programming with a special report about the first plane hitting the North tower. About 10 minutes later my cell phone rang and it was my boss whose office was in midtown Manhattan and he told me what was going on and that I had to gather all of my staff in Houston, Dallas, San Antonio, and the Valley on a national conference call as soon as possible so that we could discuss our plan as a media company and how we were going to inform our public without causing more alarm. When I got to my office I walked into the control room of the radio station and all of my staff was there and in tears. We were just informed of the second tower being hit and of the other two planes that had gone down. It felt as if we were in a movie and everything was happening in slow motion. There was not a dry eye in the house and then I got a call from the building management telling me that we had to evacuate the building ASAP because there was a government office in our building and nobody knew if government buildings were targets across the country. I gathered my staff in the conference room and told them they had to leave until further notice and that we would automate our station programming to run our news feed from Miami. The eeriest part of this whole situation is that I was scheduled to be in New York that week in meetings with the top Hispanic advertising agencies and of course my business trip was cancelled. I went to New York in late October and when I arrived I felt like I was in a foreign country. My hotel was at 26th and Park Ave and was blocked off by army trucks checking each vehicle with mirrors underneath and checking for explosives. On the wall across the street from my hotel there were pictures of thousands of missing persons-this was too much for me and I remember streams of tears coming down my face. How can something like this happen in my hometown that I grew up in? 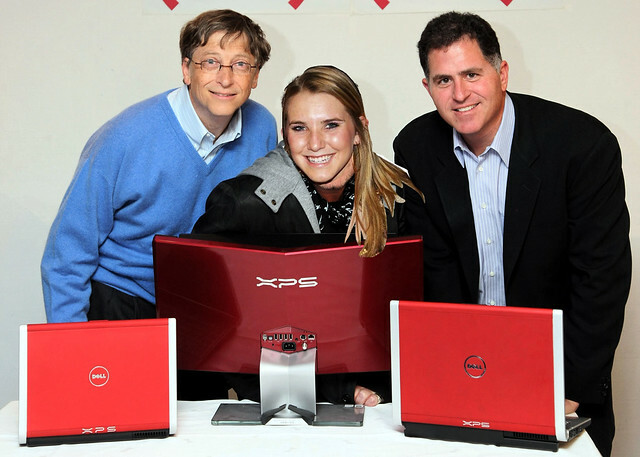 Today is the last day of our beloved ExxonMobil CSJP Intern, Merritt Shivitz. For the past eight weeks, Merritt has been on a top secret project that we can’t tell you about but, trust us, it is super important, world-shattering stuff. So before she leaves her CIA-operative-esque post to return to normalcy we thought we would share a little about her so you get an idea of who holds this highly-regarded position. Did you have a lemonade stand as a child? Yes I did. I had my first and only lemonade stand at the age of 14, the summer before I was entering high school. You could probably say this was around the age where I lost my cute factor. I still wonder if that factor affected our profit margin. As a child I would always ask to have a lemonade stand, but it just didn’t seem to fit into my mom’s schedule. So I guess you could say my lemonade stand was long awaited! I know every line to Mean Girls … every line. I can’t really decide what that says about myself, or whether that is a good or bad thing. My oldest pair of shoes would definitely be my seven year old pink crocs, which I got in the sixth grade. It is humiliating to some when I wear them to class or the grocery store. I just don’t think it is time to give them up. I hate to say it, but I could not live without my cell phone. Twitter, Facebook, bank statements, class schedules, maps and anything else you would ever need is literally in the palm of your hand. Though sometimes it is nice to get away from the phone, it is nearly impossible to go without. If you were a candy bar, what kind would you be? I would undoubtedly be a Twix, not only because it is my favorite candy bar, but because you get two bars in one. 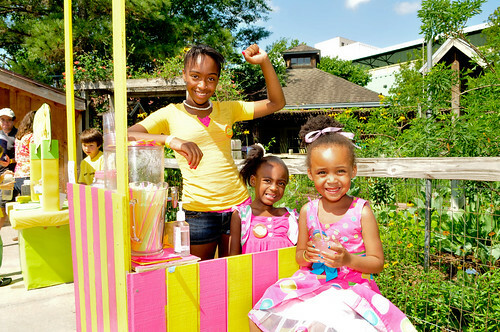 What’s your favourite memory of your time at Lemonade Day? My favorite memory is when we played extreme office makeover. No one would’ve ever guessed how handy and innovative a group of five girls can be. We wish Merritt the best of luck in her future. Of course, with the friends she’s made these past two months, how can she not be successful? Before I turned all the remaining lights out I had to tell you, thank you. 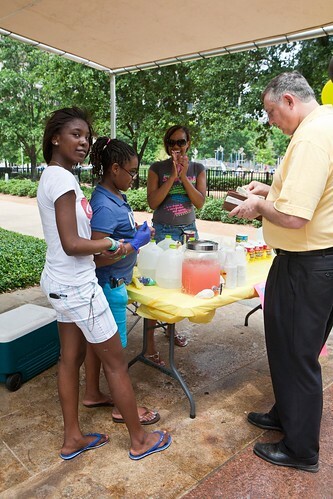 What an amazing experience today was for me… to sponsor 4 young girls, ages 10-15 and watch them flourish as they invited and convinced various groups of park goers to taste and buy a glass of their “special’ lemonade. The girls chose as their charity Texas Children’s Hospital and toward the end of the day a very skinny and shy young boy on his bike with his Mom…just happened to stop by and ask us what and who we were. As if anything, just happens…anyway, this very special young man who was soft spoken pulled his bike up right to our stand- as his mother hesitated- so tangible was her discomfort we all could sense it and wondered why. When he looked closer at our sign and heard about the reason we were selling lemonade and what charity- he told his mom firmly that he wanted to buy a glass from us. As we poured one for him the girls also gave one to his mother who was a bit stand offish and would not engage other than to say, thank you for the lemonade. After he told us his story we realized why…He told us that he, in fact, was waiting for a donor in order to have a heart transplant as soon as possible to take place at Texas Children’s Hospital. Well, this squarely brought home to our young entrepreneurs the message of hard work and charity in a way that NONE of us will ever forget. The girls are going to give their donation to Texas Children’s Hospital in his name. I know that we will tell this story many more times and with gratitude for a day that changed all our lives forever. Lemonade Day was a day that we will never forget.